Revolution Slider Error: Slider with alias slider21 not found. The following oral history transcript is the result of a tape-recorded interview with Harry M. Callahan on February 13, 1975. The interview took place in Providence, RI, and was conducted by Robert Brown for the Archives of American Art, Smithsonian Institution. The quality of this recording is uneven due to mechanical difficulties. 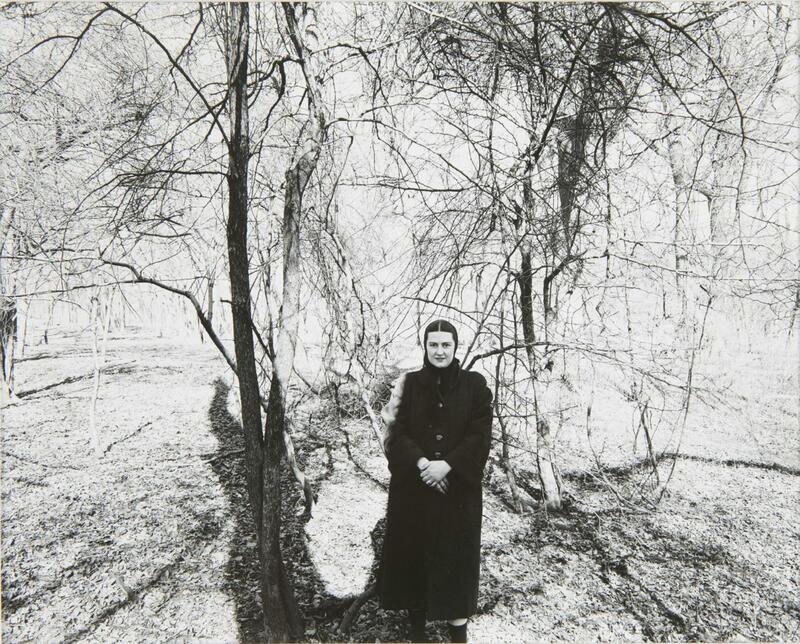 ROBERT BROWN: This is an interview in Providence, Rhode Island, with Harry Callahan. It’s February 13, 1975. Mr. Callahan, you come from Detroit. ROBERT BROWN: Were you fairly early, as a child, encouraged in the arts at all? ROBERT BROWN: What was your background? HARRY M. CALLAHAN: Well, I don’t remember exactly, but I’m pretty sure my family, my parents, were farmers in the beginning, and then they came to Detroit and worked in an automobile factory there. And so, I mean, they spent their time just raising kids [laughs] — us three kids — and so I don’t think that . . . I would say we weren’t encouraged or discouraged or anything in terms of the arts, I don’t think. Father liked music but he didn’t go on to anything — classical music, things like that. ROBERT BROWN: Do you have some fairly vivid memories of childhood? Any time that sticks in your mind? HARRY M. CALLAHAN: Well, no, I guess not. [chuckling] I wouldn’t say I had a bad childhood or anything. It seemed like I did a lot of playing, a lot of sports. I suppose the thing . . . . When I was like in high school, anything that would have, indicate arts . . . I used to like to read mythology and The Iliad and The Odyssey and I think that interested me most, that I can remember. But I always did like to draw, but it was dumb. I just copied other images out of the comics or something like that. ROBERT BROWN: Do you think this interest in mythology was a kind of a fantasy life? Did you have that as a child? HARRY M. CALLAHAN: May be. I certainly like to read it; I remember that much. I read all I could in the library. I think one thing that I seemed to feel in terms of my photography was that when I was younger my mother was pretty strong on religion. And, well, I felt very spiritual about that, you know. I didn’t know anything. I’d just go to Sunday School every Sunday. But at a certain stage in my life I felt like I wasn’t doing anything and felt, well, I should do something to benefit humanity. And I had friends, and we talked about religion and they finally talked me out of it. [laughs] And I agreed with them, in that it was just another form of witch doctor to me, you know. ROBERT BROWN: To you it was? HARRY M. CALLAHAN: Yeah. And so I felt I had to have something to take that place. And with photography, when I happened to get started in photography, all of a sudden it did that for me. And that’s the way I always feel about my photography is that I want it to have something spiritual in it that makes somebody feel something. I’m not interested to any real extent in saying something in the sense of, “This is a bad society” or social, anything like that. HARRY M. CALLAHAN: No. I don’t feel like I know enough to do that. But I feel . . . I just go by . . . my photography is intuitive, I would say. I have to think, naturally, but I don’t . . . .
ROBERT BROWN: You didn’t suppose it would say something? Did you think photography could say something to people? What did you think the purpose could be of your photography? HARRY M. CALLAHAN: Well, I always figured that if it moved the spirit in human beings, then that’s what I wanted to do. And I think that’s the way I listen to music and that’s the way I read and everything else, is to be moved that way. I missed the preaching part and everything else. ROBERT BROWN: When did you start taking photographs? HARRY M. CALLAHAN: I started in 1938. ROBERT BROWN: This was after you’d already been studying engineering at Michigan State? HARRY M. CALLAHAN: Yeah. That didn’t work for me, I don’t think . . . .
ROBERT BROWN: It seemed to be probably just an obvious vocation out there in Detroit, wasn’t it? HARRY M. CALLAHAN: Yeah, well, I just . . . . My father always said he wished he’d have had a chance to go to . . . he got pulled out of school in the eighth grade. That’s as far he got. He always wished he could have gone to school. So that always made me feel I ought to go to school. But it never was the right place for me. I should have never . . . .
ROBERT BROWN: Your parents . . . you seemed to have a sense of duty to your parents when you were a boy? You mentioned your mother wanting . . . ? HARRY M. CALLAHAN: Yeah. I don’t know whether it’s that . . . I suppose I do to a certain extent, but maybe it’s just that you’re affected by them, that’s all. ROBERT BROWN: And those two years in engineering were . . . ? HARRY M. CALLAHAN: Oh, they were very . . . they were a waste. HARRY M. CALLAHAN: Well, what happened . . . . I graduated from high school during the Depression, and all through school I would go along and get very poor grades and maybe get set back or put way down. And then my mother would go to school and talk to somebody, and then I’d work hard and I’d get up to the top. I don’t mean the top of the class, but I mean the top ten percent. And when I got to high school, I just daydreamed and it took me five years to get through high school. [laughs] And some friend of mine said — and this is the Depression and you couldn’t get jobs anyway — and he said, “If you take a post graduate course and you get a ‘B’ average, you can go to college.” So I took a post graduate course and I got two A’s and a B. So I got a guy I had . . . my physics teacher was a good guy, and he wrote me a real good letter and that was it. So I went to college. And then that was no good. I mean, I just had these little spurts every now and then when I could study. ROBERT BROWN: And there was no direction? HARRY M. CALLAHAN: No, that’s right. ROBERT BROWN: No real momentum then? HARRY M. CALLAHAN: Yeah, right, yeah. ROBERT BROWN: Well, in ’38 then did you come to get into photography? HARRY M. CALLAHAN: Well, a friend had a movie camera and I got real interested. And then I went down to see about buying a movie camera and the guy, salesman, when he told me how much it was all going to cost . . . I ended up buying a still camera, which I’m very happy about. ROBERT BROWN: You first thought maybe the movies were going to be more exciting? HARRY M. CALLAHAN: Well, it wasn’t . . . I just didn’t . . . just that camera, I guess, got me. It was just fascinating, and, then, I hadn’t even given a thought to still photography. So when I saw all those gadgets . . . .
ROBERT BROWN: How did you begin? You began by sort of experimenting with the gadgetry? HARRY M. CALLAHAN: Well, no, I just . . . I got this camera and I then sort of found out that I knew somebody who knew how to develop and print and so I . . . . He didn’t know much, but he knew something. So we just started doing our own photography in the bathroom with a funny enlarger. Then [I] got more and more interested, and I met a fellow in the Detroit Camera Club — or the Chrysler Motors Corporation Camera Club — and we got to be very good friends. He’s still a friend of mine. We really started photography together. ROBERT BROWN: Who is this? HARRY M. CALLAHAN: Todd Webb. He’s a very good photographer. He’s in England right now. But we’ve been in touch for all these years now. ROBERT BROWN: And did you right away when you looked at your first results . . . ? HARRY M. CALLAHAN: Well, I didn’t know anything what I was doing. Just . . . .
ROBERT BROWN: Did you like them? HARRY M. CALLAHAN: Yeah, I guess because they came out! [laughter] But I got a few pictures. Later on, after I’d seen what other people did in the camera club, I got these things that looked kind of good to me. But I felt kind of frustrated, things seemed all wrong. They had a fellow, I forget what … I think his name was Fossbender. He came and gave a talk to the Detroit Camera Club. And he did all kinds of manipulation with paper and paper negative stuff. And he painted out pictures and painted in things, and stuff like that. And he says, well, “Now you people, it’s going to take years to ever get to be this good.” And I thought “Oh, God, I don’t want to go through that.” I wasn’t really nuts about what he was doing anyway, but I was impressed. Then Ansel Adams came. And you probably know of Ansel Adams. HARRY M. CALLAHAN: Yeah. He showed his work, and it was all straight photography — sharp and beautiful prints and everything else, and that just completely set me free. And then both my friend Todd and I were just . . . we just went all nuts on photography. We really felt confident in ourselves and everything else. HARRY M. CALLAHAN: He was just there about two or three days. Well, he was there a couple days, and then he went to New York and then he came back and we went on a field trip. I got a notebook when we went on the field trip and finally one minute when there was nobody bothering him or anything, I asked him if I could ask him questions and he said, “Sure, yeah, I’m glad to have somebody ask me something.” So I just took notes on everything. I asked him what kind of lenses he used, what kind of film, what kind of paper, what kind of developer. Put it all down and that was my bible for over a year. I wouldn’t dare use anything different. ROBERT BROWN: Then when you saw how sharp and crystal clear the image could be, this is what set you and your friend off? HARRY M. CALLAHAN: Right. Because we knew that it wasn’t this murky junk this other guy . . . . The camera was a machine and it could make machine-like pictures which were very beautiful. So, oh yeah, that’s what really got us going. ROBERT BROWN: And these machine-like effects, the very precision of these effects, this is what captivated you rather than playing with the emulsion and tones and painting them and . . . ? HARRY M. CALLAHAN: Oh, yeah. Well, it’s just that it could get such texture — you know, that was just magnificent to me, and I immediately got a bigger camera. I got an eight-by-ten camera, and just contact-printed my pictures because that was the sharpest you could get. But after a while, I felt the need of enlarging, so I . . . . When I did get 35 millimeter I only enlarged about that much because the . . .
HARRY M. CALLAHAN: . . . it would be pretty close to the quality. ROBERT BROWN: What did you think . . . what did you admire in the sharp image, do you think? What is it that attracted you to it? HARRY M. CALLAHAN: I have no idea. That’s a real weird thing. I’m still that way. I just look at something and first I think I see how sharp it is. [laughs] No, it’s something to do with the lens. ROBERT BROWN: Did this draw you to sharp, precise forms at that time, such as, maybe, buildings? HARRY M. CALLAHAN: Oh. Well, I think that right after that — I was photographing buildings — I was photographing everything anyway, but I did more nature photography because Ansel Adams’ pictures were all nearly . . . at that time what he showed were Yosemite and things like that. And so I think I just sort of . . . we got interested in Weston then, and so we sort of did West Coast pictures, I guess. ROBERT BROWN: You’d been married in, what, ’36 or so? ROBERT BROWN: And did your wife share these enthusiasm and interests, pretty much? HARRY M. CALLAHAN: No No, I . . . for a while I really wanted her to, but then I realized that that wasn’t what she wanted to do, so I just kept it for my business. ROBERT BROWN: Yeah. Although later she’d become the principal subject for your studies. HARRY M. CALLAHAN: Oh, yeah. Right. ROBERT BROWN: Well, the education then in photography was this informal level. And particularly these notes you took with Ansel Adams. You mentioned also here that Alfred Stieglitz, his photography and his ideas were something of an influence. HARRY M. CALLAHAN: Well, yeah. ROBERT BROWN: Can you pinpoint that? HARRY M. CALLAHAN: Well, everything all happened then. I met Ansel Adams. That put me in a new world. And he talked about Stieglitz. And so then I wanted to read about Stieglitz. S I read about Stieglitz, and I started collecting classical music then. So, every way I was moved into the . . . into, let’s say, the classical world or something, in the fine arts world. And so, yeah, there had to be some kind of a hero, I guess, and so I guess Stieglitz might have been it for a while. And I went to see him. I guess that he was. . . he created an aura of some kind, and everybody treated him like he was a god. And so I think that all added to the thing, you know. ROBERT BROWN: You were impressed when you met him? HARRY M. CALLAHAN: Well, this had been built up so much in books and magazines that I couldn’t think any other way. [laughs] No, they wrote books of America and Alfred Stieglitz, and everybody wrote about how great he was. And, yeah, I think I was impressed. I think the nice thing about it, though, as part of my growing up, I realized that he was just another man, and then I thought . . . I actually thought better of him in a way. ROBERT BROWN: What did he actually say to you when you met? Do you recall anything he did? HARRY M. CALLAHAN: Yeah. Well, I went there and I said, “I’d like to see your pictures.” And he said he didn’t show his pictures anymore. And then after maybe a little while he said, “Oh, yeah, this was the early phase.” He called some guy there, who worshiped him, to have him show me some pictures. So he took me in the back room and this fellow showed me the pictures and he gave me a big spiel on it, I suppose, like Stieglitz would have done. But then after quite a while I came back to the room where Stieglitz was and there were several people in there and he was very nice. They ordered some ice cream or something. Wanted to know if I’d like some ice cream. And then I said, “Do you think you were ever influenced by Ansel Adams?” [laughs] Can you imagine? And he says, “No, I don’t think so.” I mean, he was about eighty years old and . . . . [laughter] I don’t know where I ever thought of that. ROBERT BROWN: Well, Adams had been such a strong . . . .
HARRY M. CALLAHAN: Yeah, right, and then the pictures that I saw were nature, were ones of nature, of Stieglitz. ROBERT BROWN: Did Stieglitz . . . was he the kind that would have admitted, do you think, if he’d been influenced? HARRY M. CALLAHAN: Oh, I don’t know. I think so. Yeah, I think he would. ROBERT BROWN: Did you get the feeling he was sharing something with you when you were with him? As a younger, a young photographer? 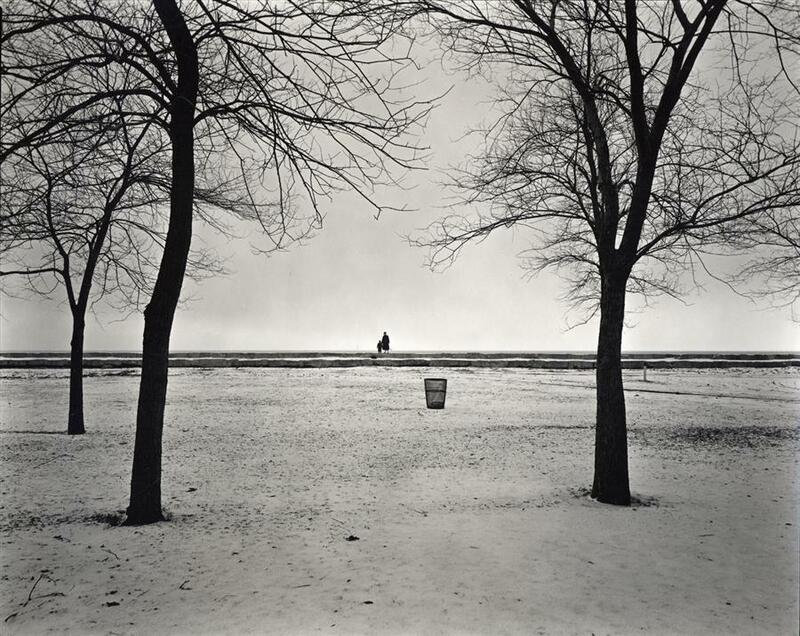 HARRY M. CALLAHAN: I don’t know whether he knew I was photographing or not. I don’t know; I felt good about it. I went back to see him. I was living in Detroit then, and then later on I went again and I didn’t really like seeing him. He seemed kind of odd. But my friend Todd Webb got to be very close to him. He used to . . . . Well, Todd, he used to tell me stories about Stieglitz, so I knew he got to be very friendly with him. ROBERT BROWN: Were you and Webb . . .
HARRY M. CALLAHAN: We’d been photographing together. RB. . . . close? HARRY M. CALLAHAN: Yeah, real close, yeah. ROBERT BROWN: You pretty much . . . did you discuss what you were doing quite a lot? HARRY M. CALLAHAN: All the time, yeah. He became a very good documentary photographer, and he had a lot of . . . . Stieglitz wanted to give him a show at the American Place, and Steichen used to show him a lot at the Museum of Modern Art. But he felt that he had become a documentary photographer, and he turned a nice living at it. ROBERT BROWN: Were you at all ever interested in that? HARRY M. CALLAHAN: I didn’t even know what it was, really. You know, I mean, I just . . . he didn’t know it either, you know. I mean he just all of a sudden, he says, “I’ve realized I am a documentary photographer.” So his first decent pictures like were when he came home from the war. He was in the Seabees, and he saw all the “Welcome Home” signs in New York: “Welcome Home, Vito,” you know, the Italian part, and they had put these big signs up. And he had a very strong feeling about that and he made excellent pictures. And I think those were the first ones that Stieglitz really liked. But then he did a lot more. ROBERT BROWN: What did you do during the war? HARRY M. CALLAHAN: I was a 4F. ROBERT BROWN: And then in ’44, when you were at GM [General Motors–Ed. ], I think, doing . . . . Was that just sort of a . . . ? HARRY M. CALLAHAN: Printing. Making prints. ROBERT BROWN: It was a living. HARRY M. CALLAHAN: Right, yes, I learned a lot there, though. It was all technical, naturally. I think I learned an awful lot there. I’m a little slow technically, and I think that I got a lot of help there and didn’t realize it. ROBERT BROWN: Did you enjoy doing it? HARRY M. CALLAHAN: No. [laughs] Certain parts of it I did because I enjoyed printing the contact prints, and so they let me do that. There was an inspector there. He inspected all the prints to make sure that people were printing good. He was very good and I got a kick out of him and I’d show him when I thought I had a really good print, and he knew an awful lot about the technique of photography. ROBERT BROWN: What was the purpose of these photographs at General Motors? HARRY M. CALLAHAN: Oh, all kinds of publicity things — model shops and what do they call exploding shots? You take a transmission and then they set it all up so that you can see how it all goes together, and that really . . . . One guy was special at that, an awful job. There were a lot of portraits and things. And they asked me if I would like be a photographer and do illustrative photography, and I said no, because I felt that that would contaminate me. You know, I didn’t want to affect my feeling with that kind of thing. ROBERT BROWN: You thought you’d have to follow their script? HARRY M. CALLAHAN: Yeah, right. ROBERT BROWN: That wasn’t a very attractive prospect for you. Well, in ’45 you must have gone right away to New York? HARRY M. CALLAHAN: Yeah. Then my friend Todd was there, too. ROBERT BROWN: He was there? HARRY M. CALLAHAN: Yeah, we had . . . . Well, it actually was my idea to go there and he’s the one that stayed and I didn’t. But, well, I photographed, just photographed, walked the streets, photographed every day — and he did, too. But he did better there than I did. I was all upset. It was more like Puerto Rico. It just didn’t work for me. HARRY M. CALLAHAN: The wrong time or something, you know. ROBERT BROWN: How do you feel when something doesn’t work? Does this happen very often? HARRY M. CALLAHAN: Yeah. In think in my case — and I think other people, too — that you could go along and you’re . . . . It hit real good for a while and then you’re down in the dumps and nothing works. It’s the impractical business of an artist, I guess. ROBERT BROWN: Well, sure. When something’s not working, when you look at a photograph, what does it seem to lack? HARRY M. CALLAHAN: Oh, it just has no feeling, no spirit to it at all. I mean, it just . . . .
ROBERT BROWN: A visual blank? ROBERT BROWN: Then, by the next year, you were in a way sort of picked up by being hired in Chicago, with the Chicago Institute of Design, the Moholy-Nagy thing. HARRY M. CALLAHAN: Right. Well, Arthur Siegel, who I used to see in Detroit, he was one of the few people that . . . . Well, he was kind of a leader in Detroit. ROBERT BROWN: You mean technically or in art? HARRY M. CALLAHAN: Well, all ways, in every way. I didn’t gravitate to things that he had to say until Ansel Adams came. Ansel Adams was just really . . . it’s impossible to say. He just released me. I don’t understand any other way to describe it. ROBERT BROWN: He was the first guy you saw that could really show special stuff? HARRY M. CALLAHAN: Yes. His work was . . . stood for what he talked about, you know. I guess that’s about what it amounts to. I don’t think he could talk as good as this Siegel. But his photography was superb. ROBERT BROWN: Whereas Fossbender, his work didn’t stand for . . . .
HARRY M. CALLAHAN: Oh, no, it didn’t stand for . . . .
ROBERT BROWN: He was a “tricks” man. ROBERT BROWN: How were you supporting yourself till then? In Detroit? And in Chicago? ROBERT BROWN: Right, after you’d worked in the General Motors photo lab, right? HARRY M. CALLAHAN: Yeah, right. So, I think we went through the winter in New York and then came home. I looked for a job and I couldn’t get jobs, but my wife got a job. And, well then, while I was there in Detroit, why Siegel came along and invited me to come and see Moholy and see if he would hire me. ROBERT BROWN: One of the first things you did was watch their classes and see how they were teaching? HARRY M. CALLAHAN: When I got there, yeah. ROBERT BROWN: Did that give you any confidence? HARRY M. CALLAHAN: Oh, I was terrible. It always has been terrible. And I guess that maybe just affected me. ROBERT BROWN: Was Moholy-Nagy . . . ? HARRY M. CALLAHAN: Well, the way they taught it I thought was outstanding. So that . . . .
ROBERT BROWN: How was that then? Can you describe that? HARRY M. CALLAHAN: Well, they . . . . As I look at the Bauhaus (this was like the New Bauhaus) as I understand it, they took each medium and they analyzed it and such, and then say what . . . . Now, the machine, for instance, used that to make simple furniture, not Chippendale, so that’s our technology, you see. You can make a real simple thing with a modern technology. And that the camera will give tone and texture, and they just analyzed all the things that the camera could do, that the materials could do, and then they said don’t mix it up with painting. You know, painting can do this. You know, photography is tone and texture. That was me all over. You know, I mean, I’d never put it into words, but then I had done multiple exposures and so they did all kinds of things like that. I had done the series photographs, and these were all assignments that they gave. And then that was very exciting to me because I invented new assignments, too. It was just at the time of my life where there was a lot of fun. I used to pick up things for the students to do. And they worked, because it came out good that way. ROBERT BROWN: Was Moholy the. 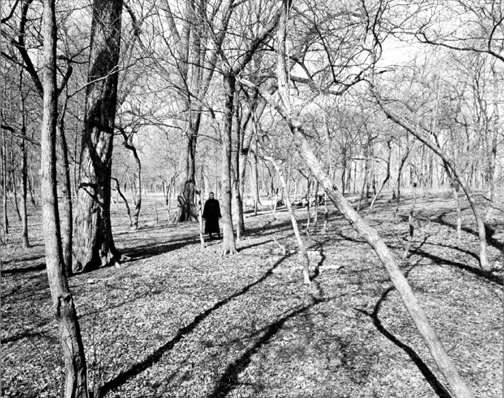 . .
HARRY M. CALLAHAN: Well, see, I didn’t see much of him. ROBERT BROWN: . . . in charge of it? HARRY M. CALLAHAN: Oh yeah, it was his school. ROBERT BROWN: What was he like, as far as your affiliation with him went? You didn’t see him much, but what was he . . . ? HARRY M. CALLAHAN: Well, Siegel took me there and Moholy wasn’t at school. He was down on a farm that they had, that the school had, that [Walter] Paepcke of Paepcke Container Corporation lived on. ROBERT BROWN: Yeah, who was the chief patron. ROBERT BROWN: That’s for sure. HARRY M. CALLAHAN: And so Moholy looked at my things and he said, “All right, now when you come to the school . . . . ” And he said he’d only once before in his life that he’d been moved like that by somebody’s work. I was all ready to tell him off if he didn’t like my work. [laughs] So it turned out . . . . Well, he . . . . So I saw him then, and then at school he was so busy and they moved from another building, and so we didn’t have any darkrooms and everything was wrong. He was just running around from one place to another trying to hold the school together. He was a very brilliant person. He could call the school together and in a half hour give a beautiful lecture — on anything, practically. So he just kept it together. We couldn’t do much, I mean we didn’t have darkrooms. Then he was gone a lot. He was a very busy person. He’d designed the Parker Pen, you know. HARRY M. CALLAHAN: He did all kinds of interiors. He did everything to raise money to get that school going. ROBERT BROWN: Did you think you contributed to getting it going? Were your courses popular? Did you have a loyal group of students? HARRY M. CALLAHAN: Oh, yeah. Yeah, over the years that’s worked out real good. Well, the department was . . . not only was it murder for me, but Siegel, who was the head, he’d been through the first year that they taught. But there was no second year and there was no third year and there was no fourth year. We just went along improvising all the time, and if I hadn’t had some good, faithful students, I’d have been out of there long . . . . Well, I think I contributed a great deal over the years, I guess. I brought Aaron Siskind there, and he and I really built the program that’s just, you know, something . . . . Siegel always said he did it all, he laid it all out for us, but he didn’t know what he was doing then. I mean, it wasn’t, nothing against him, but . . . . He had a lot of ideas, but people have to go through school before you know what it is. ROBERT BROWN: Right. And you stuck with . . . the students stuck with you and he quit? HARRY M. CALLAHAN: Well, yeah, he had an awful time. Moholy demoted him, and then when Moholy died, then Chermayeff, the new director, reappointed him because Siegel was a very literate person. He could speak well. He knew the history of photography very well. He knew an awful lot about art in every way. Very well read, smart guy. He just for some reason couldn’t function. I don’t know what was wrong. He didn’t show up to classes, and I don’t know, he had an awful time. ROBERT BROWN: Whereas you stuck with your students. ROBERT BROWN: You worked in the lab and that was just the way they got to learn, right? HARRY M. CALLAHAN: Yes, Well, there were other teachers there, too, and they stuck with them. It was just Siegel wasn’t their hero, unfortunately. ROBERT BROWN: Well, this school, then, in ’50 became part of Illinois Institute of Technology. ROBERT BROWN: Formerly, think it was the Armour Institute or something like that. HARRY M. CALLAHAN: Well, that was . . . . Yeah, you’re right, yeah. Well, it actually didn’t, as I was saying, developing this program, whatever it was or whatever it amounts to, when Siegel left — and I think I had one year without him — and probably the second group of undergraduate students graduated . . . .
ROBERT BROWN: So that would be about four years after you first came? HARRY M. CALLAHAN: Yeah, yeah. And I just, you know, I just sighed, you know, real relief, God. And two of them came up to me, just before they were leaving, and said they wanted to take a master’s degree. And I’d never heard of such a thing. [laughs] So I went to Chermayeff and I said, “Well, what can I do with these guys?” Because we were part of IIT then. And they would allow a master’s. ROBERT BROWN: You barely created a Bachelor’s degree. HARRY M. CALLAHAN: Yeah. We hadn’t even done that yet. ROBERT BROWN: At least you got them through four years. HARRY M. CALLAHAN: A direction and purpose or something like that. So these two guys wrote it up and so we let them do it. That was okay. It scared me at first, but then we just worked and just let them do what they said they were going to do and so . . . .
ROBERT BROWN: You found that was a good thing, once they’d reached a certain point, an independent kind of point? HARRY M. CALLAHAN: Right, yeah, and that’s the way we do it now. ROBERT BROWN: Right. So Chermayeff had come from a broad educational background. HARRY M. CALLAHAN: Yeah, he was . . . .
ROBERT BROWN: He was interested in innovation or . . . ? 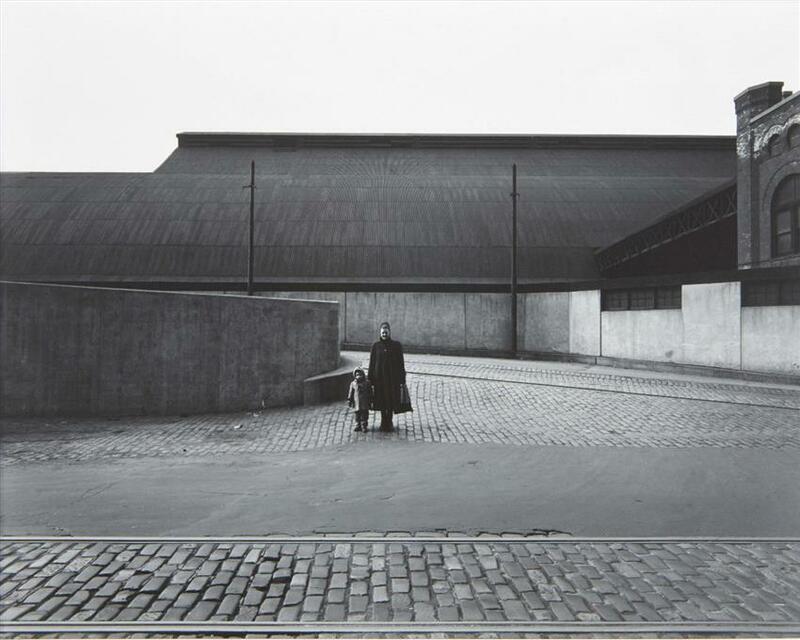 HARRY M. CALLAHAN: He was interested in the Bauhaus, I think. That’s probably one of the reasons they brought him, because he had been involved with it — intellectually, at least — and he liked the different things that they did. And he liked photography. He was good that way, but he was a tough guy to get along with. ROBERT BROWN: What kind of students did you get there in the immediate post-war years? Were these a lot of GI Bill? HARRY M. CALLAHAN: Oh, GIs, yeah, that’s right. ROBERT BROWN: What were they there for, do you think? Aside from . . . ? HARRY M. CALLAHAN: I don’t know. That was another tough thing because none of us were really oriented in terms of teaching somebody how to do photography for a living. I mean, Siegel had earned a living at it and he could do something, but he wasn’t interested in it either. So the GIs were really . . . a lot of them wanted to know, find out how they could earn a living. HARRY M. CALLAHAN: Yeah, right. And so that was difficult. That part of it was really difficult. But I didn’t have too much to do with it. There was a commercial photographer there, too, and he told them a lot of stuff. I don’t think we did good that way. I don’t think we ever have. A lot of our people have made a good living, but there wasn’t specifically . . . . We were never teaching them that way. But I think we taught them, maybe, you might say fundamental things: how to think about stuff, you know, that allowed them to tackle jobs. ROBERT BROWN: Probably a basic strength. They could do or not do something with it. HARRY M. CALLAHAN: Right, yes. ROBERT BROWN: Is that the old argument between the theoretical and the applied? ROBERT BROWN: In the Illinois Institute, was there pressure to be practical? HARRY M. CALLAHAN: No. No, they didn’t. ROBERT BROWN: Theoretical studies were found. HARRY M. CALLAHAN: Yeah, they let us go. ROBERT BROWN: Was your program of teaching photography fairly early well known in the country? ROBERT BROWN: Yeah. You were set right up there with the accepted people in fine arts? HARRY M. CALLAHAN: Fine arts, right. They didn’t want it that way. Moholy believed in terms of design and function as earning a living, too. But he didn’t believe in the trade school concept. ROBERT BROWN: But they had to have this basic training in fine arts . . .
ROBERT BROWN: . . . before they then even thought about the application of it? HARRY M. CALLAHAN: Well, he did an awful lot of designing and application himself, so he . . . a lot of that would get into the design part of the school. But photography hadn’t been developed. That’s the whole trouble. It had always been done a lot. I really don’t think departments were very developed in any area. I think it wasn’t until after the war that Moholy had the money to . . . and the students! Maybe he could have had the money before, but he didn’t have any students. ROBERT BROWN: And the chief beggar was Paepke. HARRY M. CALLAHAN: I guess so. I would never know what it would amount to, but he was certainly . . . Moholy certainly mentioned him a lot. ROBERT BROWN: Were you exhibiting by this time? HARRY M. CALLAHAN: Oh. When I went to New York, Nancy Newhall, I think, showed one of my pictures in the Museum of Modern Art, a color show of some kind. And she — I don’t know whether it was her or somebody showed some in a magazine called Mini Cam, and there was a fellow kinda liked my stuff and wanted me to do an article and I did an article for that. ROBERT BROWN: This was in ’45 or something like that? HARRY M. CALLAHAN: Yeah. Yeah. I don’t think I really started exhibiting until Steichen . . . . I can’t remember my first exhibits now. Steichen showed me at the Museum of Modern Art. ROBERT BROWN: In ’48, In and Out of Focus? HARRY M. CALLAHAN: I think I had little exhibits, you know, like a little gallery in Chicago or something like that. ROBERT BROWN: What was the effect of these Museum of Modern Art shows? HARRY M. CALLAHAN: Well, that . . . .
ROBERT BROWN: Beginning in ’48. What did that mean then? Was Steichen a big figure with photography? HARRY M. CALLAHAN: Yeah. But Chicago wasn’t considered. No. But he was a big figure. And he turned out to be a real, you know, break for me, because he came to Chicago and he looked at my things and just about every year from then on he’d always show some of my work in a group show. So it became a regular habit for me to take my work about every year to New York. And then Steichen would look at it and take out some and maybe show it. So that was a . . . well, that was a real wonderful relationship there. He was a really remarkable man and an outstanding photographer and bright and capable. Gee, he was something. He was a . . . in the first World War, he was the head of Army photography, aerial . . . made aerial stuff and that’s where he said that he really found out that photography should be sharp, because you can’t take the repeat. [laughing] And then the Second World War, he was in charge of the in a Navy unit. And he was a successful painter. And he really was the first guy that brought modern art to the United States, when he said . . . he had Stieglitz show Picasso and Cezanne and, you know . . . . So he did all kinds of things. So that was a terrific relationship, because, you know, to see somebody operate like that. ROBERT BROWN: And you hit it off with him? HARRY M. CALLAHAN: Yes, he . . . .
ROBERT BROWN: Apart from your work? HARRY M. CALLAHAN: Yeah, oh, yeah, he was a . . . .
ROBERT BROWN: He became a friend? ROBERT BROWN: Would he regularly come out to Chicago to look at things there? HARRY M. CALLAHAN: Well, he did a lot of traveling to see where photography was going on. And he knew that there was some . . . there was another person, too, that was very . . . he was very close to Steichen. That was Wayne Miller. And so Wayne Miller was in Chicago, too. So he’d come and see Wayne Miller and see me. In fact, he might have come through for me while being with Wayne Miller, because Wayne Miller worked with him in the Navy. ROBERT BROWN: Well, what kind of result did you see once you had your first shows at the Museum of Modern Art? Did you suddenly become much more widely known? HARRY M. CALLAHAN: Yeah. I got known through Steichen. I’m pretty sure of that. I don’t know . . . no, I don’t think suddenly. I mean that in In and Out of Focus I only had . . . only had a few pictures — about five or six, I think. But it was a huge show. But it did turn out that they went to Germany and I got an award from — I guess it may be in there [in the resume–Ed.] — I got an award from it. ROBERT BROWN: Oh, for the . . . ? ROBERT BROWN: But at this time there were certain people who might be beginning to collect your prints? ROBERT BROWN: So you weren’t likely to . . . ? ROBERT BROWN: Or know who bought them . . .
HARRY M. CALLAHAN: No, no, that’s right. ROBERT BROWN: . . . or care. HARRY M. CALLAHAN: [laughs] Yeah, that . . . .
HARRY M. CALLAHAN: No, but photography was . . . . You were a dope if you did photography. There were very few people that liked photography. So it’s right that at the moment it’s the opposite. There’s good people who like photography. I feel funny about people thinking it’s good. HARRY M. CALLAHAN: Yeah. [laughs] It seems like something’s wrong. ROBERT BROWN: You met Aaron Siskind in the late Forties, I guess? HARRY M. CALLAHAN: Well, he came through Todd Webb. He first knew Aaron in New York, and . . . Aaron was on a sabbatical, I think, because he taught . . . .
ROBERT BROWN: Yeah, he was teaching in New York City, right? HARRY M. CALLAHAN: Yeah. And so he was going to go West, and so Todd told him to stop and see me and Arthur Siegel. So that’s how we first got to know each other. He came to the school. ROBERT BROWN: Did you find you had a lot in common, or what? Did he become especially congenial? HARRY M. CALLAHAN: Oh, yeah. He is a very sensitive guy. He liked my photographs. And I realized that he was in there, too, and so . . . that’s why I wanted him to come to the school after I got to know . . . after I’d known him. I just actually just talked to him one day, and I knew that I wanted him because he would have filled a part we needed real bad there at the school. ROBERT BROWN: Which was what? HARRY M. CALLAHAN: Well, he had done projects with people in the Photo League in New York City and this is what . . . I mean, if you do something like that, you can deal with it in terms of students. Well, that would be useful in earning a living. HARRY M. CALLAHAN: Because if they, you know, deal with doing a documentary in the street, documenting the street, or a place or something, and he could discuss that kind of thing. And then he was a art photographer, and that’s what I wanted. I didn’t want a commercial photographer. ROBERT BROWN: You didn’t want someone who just had one talent? ROBERT BROWN: . . . you needed that. ROBERT BROWN: The documentary experience he had? HARRY M. CALLAHAN: Yeah. Not that he wanted to do it anymore but he could teach it. He didn’t really want to come to Chicago at all. ROBERT BROWN: He didn’t? Well, he was pretty involved with the upsurge of abstract art and everything in Chicago, wasn’t he? HARRY M. CALLAHAN: Yeah, right, yeah. But he was awful sick of teaching high school and that’s one of the reasons he came. He didn’t want to leave New York. ROBERT BROWN: Did you learn, or did it sort of percolate to you through him, something about what was going on in New York in painting? HARRY M. CALLAHAN: Oh yeah! Oh, the school did an awful lot for me that way. There was a fellow by the name of Hugo Weber. He used to try to tell me about . . . like cross-country skiing. He was a Swiss. He knew Arp and Maillol . . . he knew really everybody there in Paris. He’d studied in Paris, and he knew [Sigfried] Gideon and, I don’t know, he knew all kinds of people. He knew the Bauhaus. He and Aaron meant a great deal to me in terms of . . . helping me find out what’s going on in the world. Yeah, Aaron introduced us to all those Abstract Expressionist guys. ROBERT BROWN: Did they come out to Chicago . . . or did you criss-cross to New York? HARRY M. CALLAHAN: Sometimes. And this Hugo would try to get them there. They got de Kooning out there when they could. I don’t know whether they had Motherwell. I think they had Franz Kline. Then they had Matta, I know that. Well, Hugo was very, very . . . he had a nose for everything, you know. And being a European, too, he had a more, you know, an experience to bring over. ROBERT BROWN: Your experience was always pretty much worked out by yourself? ROBERT BROWN: One thing would seem to happen to you. ROBERT BROWN: Well, at least here [referring to a chronology], indicating the one time that Siskind described your restlessness. HARRY M. CALLAHAN: Oh, yeah. HARRY M. CALLAHAN: Well. that’s one reason I couldn’t enjoy Puerto Rico. [laughing] You got stir-crazy. Yeah, I think I am. And photography is the one way out, you know. ROBERT BROWN: And yet you stayed at Illinois fifteen years. You’ve been here in Providence now . . . ? HARRY M. CALLAHAN: Fourteen years. ROBERT BROWN: Right, So it isn’t unstable. HARRY M. CALLAHAN: Oh, I see what you mean. ROBERT BROWN: When you’re working, you seem to find stability in your work. HARRY M. CALLAHAN: Well, he means that I’m restless in the head. ROBERT BROWN: In your photography. HARRY M. CALLAHAN: I don’t know what he actually means by that. ROBERT BROWN: Sure. Kind of open-ended, could be interpreted several ways. HARRY M. CALLAHAN: Um hmm. ROBERT BROWN: Your family . . . you had a child then about this time. HARRY M. CALLAHAN: Yes. ’51. ’50. ROBERT BROWN: And it’s around that time that you begin using your wife and later your daughter as, if not the leading, at least, very prominent, images in your work. HARRY M. CALLAHAN: Yeah, I . . ..
ROBERT BROWN: Can you explain this? Was this related to some new orientation in your work? 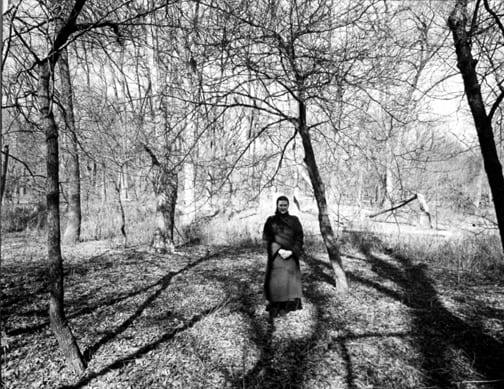 HARRY M. CALLAHAN: Well, I’d photographed my wife before. I had been photographing her for a long time. But, yes, I think that we’d been married, let’s see, fourteen years before our daughter was born. So this was a real surprise. We had never tried to . . . well, for many years we hadn’t tried to prevent having any children. But we’d just forgotten about it because it wasn’t happening. [chuckling] So it was a very exciting thing. I thought that I would really like to photograph her and I photographed them both. I photographed them an awful lot, for about five years. But I didn’t get very many good pictures. I got a few. But it wasn’t very . . . .
ROBERT BROWN: What were you trying to accomplish through that, do you think? Celebration or wonder or . . . ? HARRY M. CALLAHAN: Well, it just opened up a whole new world to me. I mean, a child, you know, I just . . . I never paid . . . to me, before that child’s voices didn’t make much sense, and then you start hearing them. You know, you hear all kinds of things, everything that . . . I just think that one . . . that I was happy to be a part of something that was so strong and powerful as that. ROBERT BROWN: And part of your being a part was to have that camera there. HARRY M. CALLAHAN: Yeah, right. I felt that was important, too. ROBERT BROWN: Have you . . . with these and other photographs, do you always want to share your perceptions by exhibiting these photographs? ROBERT BROWN: You’ve no qualms about that? You’ve always wanted to put out there what you’ve got? HARRY M. CALLAHAN: Yeah, um hmm. ROBERT BROWN: No possessiveness about it? HARRY M. CALLAHAN: [chuckles] No. I think . . . I would kind of guess, maybe, that Stieglitz photographed Georgia O’Keeffe and that might have influenced me, you know. Like I think . . . I don’t know whether I’d photographed Eleanor before that. It might have been that you just normally sort of photograph your wife, I can’t say. HARRY M. CALLAHAN: But to carry it to the extent I did, I could possibly have been like . . . you know, it might have been Stieglitz in the . . . .
ROBERT BROWN: But it’s only “a might have been.” You don’t know . . .
HARRY M. CALLAHAN: Yeah, I don’t know. I never thought of it. ROBERT BROWN: . . . your own momentum and excitement at that time about that. HARRY M. CALLAHAN: Yes. And I also think, in terms of the daughter, even there that could be somebody like Steichen, that felt very strong about the documentary part of photography. But I didn’t want to document my daughter in that sense. I wanted to make pictures that I felt, oh dear, intuitive and not trying to say how they act and stuff like that. I wasn’t interested in that. ROBERT BROWN: Now, you brought up . . . several times, and you used the word “intuitive”. ROBERT BROWN: What do you think you mean when you . . . this is a process? HARRY M. CALLAHAN: Well, this just sort of led to something unconsciously or . . . that’s about all I could tell you! ROBERT BROWN: But mainly when you go about something it’s unconscious of . . . you don’t know what the result might be, or do you? You only know when you finally look at that print? HARRY M. CALLAHAN: I know that, for instance, if I want to, then, go photograph on the beach or something, then I’ll walk around the beach and all of a sudden I see something. And then that’s the beginning to start working on something, and then I’ll maybe photograph that and walk down the beach a little farther and find something very similar, and then keep working on that sort of a little theme, whatever it might be. And then the next time I might go to the beach and I might say, “Well, I want to go back and do that.” So I mean I don’t how you put the process together but . . .
ROBERT BROWN: But at the time you have a moment when you . . . ? HARRY M. CALLAHAN: . . . when something happens, right. ROBERT BROWN: This is it. ROBERT BROWN: Then when you bring out your camera, you’re recording this? Or what are you trying to do? Express it? Capture it or what? HARRY M. CALLAHAN: Well, I think all the time I’m doing it I feel like I’m adventuring in some way. Looking for something. I’m not sure. Sometimes things look like they ought to be good, you know, I mean something looks right. But that doesn’t always make it come out right either. And sometimes it doesn’t . . . you don’t know what it’s going to be and it comes out real good and that starts you on a whole new way of thinking and seeing. ROBERT BROWN: You’re really not capturing. You can never quite get it. 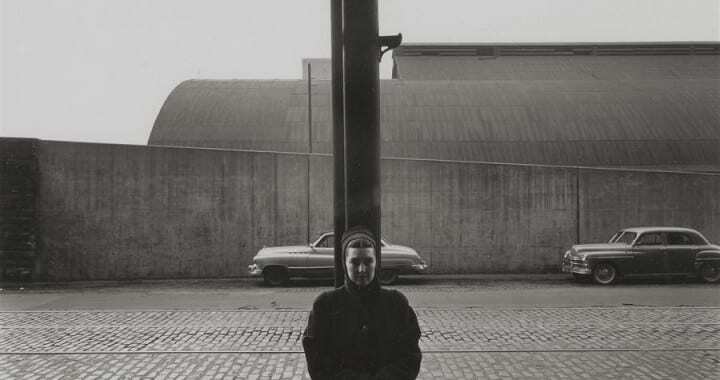 HARRY M. CALLAHAN: No . . . .
ROBERT BROWN: It’s never quite what you want it to be? ROBERT BROWN: I suppose sometimes you smother it . . .
ROBERT BROWN: . . . as you’ve said, sort of a boring kind of neutral thing? And then at other times it’s . . . ? ROBERT BROWN: You, then, after you’ve made that image I assume you never do now, since your early impressions with Adams begin manipulating the prints to any extent at all? HARRY M. CALLAHAN: Oh, yeah, I do . . . I may print it very contrasty or I may print it very soft. I don’t like the idea that there’s supposed to be a standard way for a print. I mean, we make the students do it in the beginning so that they learn to control. ROBERT BROWN: It sometimes does? HARRY M. CALLAHAN: Sometimes it does, right. ROBERT BROWN: But you enhance the reality? ROBERT BROWN: And again by some intuitive . . . ? HARRY M. CALLAHAN: Yeah, right, that’s right. ROBERT BROWN: What are you trying to say, do you think? I mean, you say you’re not preaching, I know. But what do you suppose . . . there’s something that drawn out. HARRY M. CALLAHAN: It’s a funny thing about the Bauhaus thing saying use the modern technology, but a Mies chair, I don’t know what it is now, but it used to be around a thousand dollars fifteen years ago. ROBERT BROWN: They never did get them mass-produced, did they? HARRY M. CALLAHAN: [laughing] Well, I don’t . . . yeah, maybe not. I don’t know what it is. I don’t know whether they could mass-produce them, they’re made so well. But I mean those kind of things; they were designed to do that but it didn’t come out that way. ROBERT BROWN: But there is . . . in photography, at least, you can approach that and produce it? HARRY M. CALLAHAN: Yeah, that’s right, yeah. ROBERT BROWN: And this is one of the main joys that you can get out of it, the fact that you can . . . ? HARRY M. CALLAHAN: Well, I want to do a life’s photography. And I want to grow in it and I know that I learn more all the time, and I know that that has something to do with it. ROBERT BROWN: Do you also then go over your own corpus, your own body of work, for changes? HARRY M. CALLAHAN: Well, not necessarily. I feel like that the first decent picture I made may be as good as the last I’ll make, but it’s going to be different, you know. That’s all. I don’t think in terms of getting better in that sense. Maybe getting more broad. ROBERT BROWN: Do you ever find yourself going and doing tricks? HARRY M. CALLAHAN: Well, I don’t feel that . . . I do multiple exposures but I’ve always done it, and it’s always just seemed natural to me. I haven’t done it for years now but I did it for a long time. ROBERT BROWN: But you’re not a calculating person about it, I mean in terms of the results? HARRY M. CALLAHAN: No, I know that when I make a multiple exposure, I want to put certain things together, that’s all I know. ROBERT BROWN: You’re an expressionist, right? You’re not a . . . you don’t analyze it? HARRY M. CALLAHAN: No, probably not, I don’t think I . . . .
ROBERT BROWN: Of course, as a teacher you have to do some of that, don’t you? HARRY M. CALLAHAN: Not much. I avoid it. Aaron might more. Maybe [he] would. ROBERT BROWN: How do you teach? HARRY M. CALLAHAN: I guess I . . . I developed a series of problems that I found that worked good with the second-year people. I don’t do any of the first-year stuff anymore. I have the graduates and the second-year people. And so I have some assignments I give them, and I’m very concerned in that year that they develop their technique. I make a big issue out of that. Or their good print quality — what we call good print quality. ROBERT BROWN: You closely supervise the process, right? HARRY M. CALLAHAN: No, not then. We do that in the beginning, first year, watch very close. After that, they get very good. ROBERT BROWN: You look at their results? HARRY M. CALLAHAN: Oh, yeah. We meet every week and look at the work. HARRY M. CALLAHAN: Yeah, right, sure. We meet every week and go over the work. And in the graduate program, they do nearly all the talking. We just get together and we create a sort of a, well, environment for them, and they do nearly all of the talking. They put up their work and they attack each other. ROBERT BROWN: Is this the way you developed it out at Chicago, too? HARRY M. CALLAHAN: No, in Chicago Aaron and I, we stuck with that project type thing that Chermayeff found. ROBERT BROWN: The assignment kind of thing? HARRY M. CALLAHAN: Well, they had to state a project for their Master’s degree. HARRY M. CALLAHAN: And they had to carry it out and come up with a body of work. But I didn’t really like that after a number of years. ROBERT BROWN: Why didn’t you, do you think? HARRY M. CALLAHAN: Well, I wanted to make it completely free. I wanted to just let them work and come in every week with work, that’s all. Or every two weeks. ROBERT BROWN: Do you suppose your reliving in that, or expressing with your students what was your development? HARRY M. CALLAHAN: What I . . . sure, right, sure. That’s the way I believe in it. But in the beginning I think they have to be taught. No, Aaron and I sort of . . . we used the Bauhaus the first year, and then I let them . . . .
ROBERT BROWN: Any project, you mean? HARRY M. CALLAHAN: Well, doing all what photography is like: texture, tone, and multiple exposure, and all that stuff. And then I started, usually with the second-year people, and I did the different assignments that I found that I liked. And then Aaron would really start . . . Aaron would sort of do the third year in sort of project kind of things, had them do little things. He usually did the third year and the fourth year. We figured it out that the first year was the, well, the Bauhaus foundation course. Then the second year was what I did. And then the third year was what we called traditional: portraiture, architectural, all the sort of journalistic kind of photography. And Aaron did most of that. Aaron made some big projects, he made one great big one on Sullivan’s architecture. So Aaron did a lot of project things like that. He kind of liked that stuff. And then the senior year we let them sort of experiment and come out with something of their own. ROBERT BROWN: Did you have field trips? HARRY M. CALLAHAN: Oh, yeah. We used to take them. We used to do quite a bit of that. ROBERT BROWN: You were doing a lot of nature things in the Fifties. HARRY M. CALLAHAN: Yeah. Yeah, we used to take them to . . . we’d go to another city sometimes, just stay in a motel or something and photograph. And we used to take them to Rochester once in a while, to the George Eastman House. ROBERT BROWN: To look at the panorama of the past? ROBERT BROWN: It was a good chance to see contemporary work, too, from all over, wasn’t it? HARRY M. CALLAHAN: Yeah. Yeah, we do that here. I came here and I was alone, and I started this department here. ROBERT BROWN: Here at the Rhode Island School of Design? HARRY M. CALLAHAN: Yeah. So that was one of the first things I wanted to do is to get them to the other stuff because just talking doesn’t do it all. I wanted them to see where . . . .
ROBERT BROWN: Sure. Do you ever have the feeling that your students are echoes of yourself? Does this bother you? HARRY M. CALLAHAN: There used to be a certain amount in the Institute of Design because they didn’t see other stuff. That was the trouble. ROBERT BROWN: Yeah. It was a hothouse, some way or another? HARRY M. CALLAHAN: [laughs] Yeah, and they either became Bauhaus-type photographers or sometimes they would copy little things like Aaron and I did. I mean, here it’s hardly any like that. They see all kinds of photography, and that’s really exciting because they do nearly all their own. I mean they’re influenced . . .
ROBERT BROWN: Why do you think you came in the Rhode Island School of Design in ’64? Is that when you came? ROBERT BROWN: ’61. And you started photography here? HARRY M. CALLAHAN: Yes. Well, they had a course. HARRY M. CALLAHAN: The had a course where they taught graphic designers, but they had no department. ROBERT BROWN: Oh, well, you mean, in other words, it was photography which was to be applied then to general design? HARRY M. CALLAHAN: It was just to teach the graphic designers how to do photography so that they could use it in their graphic design. So that they might . . . you know, they might photograph something to put on a page. ROBERT BROWN: Were you fairly bold, then, in leaving Chicago and coming here? Why did you leave? HARRY M. CALLAHAN: Yeah, it was a big deal for me. I left tenure and everything else in Chicago. Well, I think the main thing was that I . . . while I was in Chicago in 1956, the Graham Foundation gave me this award and they promoted travel. They wanted to encourage travel. And everybody kept saying, “You know, you’ve got to go someplace.” And I thought about going up in northern Michigan or something. But people kept saying, “Go to Europe,” and so my wife said, “Well, let’s go.” So we went to Europe and that was such a tremendous effect on me. HARRY M. CALLAHAN: Yeah. When I came back to Chicago after a year there, I mean I couldn’t forget Europe and . . . .
ROBERT BROWN: Well, what was the effect, do you think, of Europe on you in ’56? HARRY M. CALLAHAN: Well, we went in ’57 and ’58. Well, I don’t know, I just never realized anything could be like that. It’s all new. It’s just a really remarkable . . . and living in the — we lived there for nine months in a little town in the South of France — and just to see how people lived in the old buildings. And then, of course, you see all the paintings. We traveled all over for about . . . well, we stayed two months in Germany. We had a place to stay there, and we did an awful lot of traveling from there. And then we got to the South of France, and then we did a lot of traveling, you know, on vacations — out daughter was in school there. ROBERT BROWN: What do you think triggered off this interest? You mentioned earlier the place with some history. Is that what . . . ? HARRY M. CALLAHAN: Yeah. Oh, yeah, that must have had an awful lot to do with it, right, yeah, history . . . .
ROBERT BROWN: What were you mainly photographing during that year in Europe? HARRY M. CALLAHAN: Well, I did an awful lot of nature and then a lot of pictures of people on the streets, in this little town of Aix. But I guess I came out mostly with the nature things. ROBERT BROWN: It was the nature that was different from the . . . ? HARRY M. CALLAHAN: No. Well, it was, yeah. But that wasn’t the point. I don’t know why. The towns were so picturesque to me. I found that very difficult. ROBERT BROWN: Very difficult. What do you mean? HARRY M. CALLAHAN: Yeah, well, everything looked pretty, you know. ROBERT BROWN: You were . . . it was a trap you could have . . . .
HARRY M. CALLAHAN: Get in to, yeah. It doesn’t bother me to go anymore now, but it did then. It really bothered me. So I suppose that might have had a lot to do with photographing nature. ROBERT BROWN: You wanted to be severe with yourself. You didn’t want to produce picture postcards. HARRY M. CALLAHAN: Yeah. Something like that. It really affected me, I know that. Well, it was just a . . . it was a marvelous year, too, but in another way. I was completely free from everything in Chicago. We put what little junk we had in storage and went over there. And I didn’t have to get up and go to class or anything like that. I had a routine. I’d go out in the morning and photograph and then come home and have lunch, develop my film, and then print it after the film was dry. And we did this every day except if something came up. Well, very, very rarely anything did come up, except if we wanted to take a trip to Cannes or Nice or something like that. But even there I would photograph. ROBERT BROWN: Your daughter being in school didn’t . . . ? HARRY M. CALLAHAN: Yeah, that . . . .
ROBERT BROWN: You had to sort of stay there? HARRY M. CALLAHAN: Yeah, and that was good, that was real good. ROBERT BROWN: That forced you to stay in one spot rather than start wandering through . . .
HARRY M. CALLAHAN: Yeah. Oh, yeah, I wouldn’t . . . it would have been terrible to wander. ROBERT BROWN: Because you are a guy that . . . . Well, when you were in Chicago, you’d go out different places, right along, as much as you could. ROBERT BROWN: This was the highest grant ever given to a photographer. How did you come to get it? HARRY M. CALLAHAN: I don’t know . . . just people . . . .
ROBERT BROWN: Did you apply for it? ROBERT BROWN: Or did your school encourage you to do it? HARRY M. CALLAHAN: No. I got called into Skidmore, Owings, and Merrill and the fellow said they wanted to talk to me. They were thinking of giving out some grants, and he just wanted to know what I would do if I got one. And I said, “Well, I’d photograph. That’s what I what to do.” And, so he asked me a whole bunch of questions. I think Joe Goto — he got one, too — and I think he must have been there before me because he said, “There was another guy in here. He talked just like you. He wanted to do his own work.” [laughs] Well, anyway, so he said, “We don’t want you to get excited about this, because we haven’t made any decisions or anything, but we’ll let you know next Saturday what happens.” And they called Saturday and said that they were delighted to tell me that I had received this grant. And at that time it was a lot more. I mean, ten thousand was quite a bit of money in 1956. HARRY M. CALLAHAN: And so . . . we ended up by having to borrow money when we got back. But we were really gone for fifteen months. ROBERT BROWN: Then you returned . . . ? HARRY M. CALLAHAN: Oh, yeah, then Chicago didn’t look like very much to me and I always was excited about Chicago. I still do like Chicago, but it just has this . . . and we were kind of tired of the school and the same thing. When I got the opportunity to come here, I came. It was a scary thing for me to do, because I was sort of half the time thinking I might go back to Chicago, you know, because . . . .
ROBERT BROWN: What did you like about Chicago, I mean to photograph? HARRY M. CALLAHAN: Well, I think the thing is that . . . well, I liked all the buildings and the people and stuff like that, and the lake. But I think the thing is that, for people in Detroit — or Michigan — Chicago is the big city, not Detroit. And, of course, New York is the big city. Chicago was the one we all talked about. So I think that’s the reason. It just had a kind of something I liked about it. ROBERT BROWN: It was supposed to be a metropolis and they made it. ROBERT BROWN: In the early Fifties you taught briefly at Black Mountain College. Was that something of the same setup as the . . . ? HARRY M. CALLAHAN: Oh, that was . . . Aaron and I went down there and we just . . . they just invited us to come down. It was a really loose thing. They just said, “Well, what do you want to do?” So everybody that was brought down says, “Well, I’ll take a class Monday morning or Wednesday afternoon,” or something like that. ROBERT BROWN: so that wasn’t a very deep . . .
HARRY M. CALLAHAN: No, it didn’t hardly . . . .
ROBERT BROWN: . . . impact on your career. HARRY M. CALLAHAN: No. Well, it was a . . . yeah, it did. I found it very good that way. I mean, there was an entirely another way the school was run. And I was amazed because it was a pretty brilliant idea of the guy who started that school. It just didn’t work out, that’s all. But they did everything. They had music, dance, and everything. Art. We lived in a house they built, too. ROBERT BROWN: Was there any particular person who interested you moving out of Chicago and coming to Providence? HARRY M. CALLAHAN: Oh, yeah, Dave Strout. He was a friend I’d known for years. And he was the dean and vice president here, of the Rhode Island School of Design. And he wrote me and asked me if I . . . said in the letter that, “I know we couldn’t pry you loose from the Institute of Design, but could I suggest somebody?” And I wrote back and said that I would like to come myself. ROBERT BROWN: You decided pretty quickly. Did you know this school at all before you came over? HARRY M. CALLAHAN: No. No. I was . . . I don’t think this school was anywhere near as . . . well, I mean they didn’t accept photography like the Institute of Design did. ROBERT BROWN: But you knew it was a fairly well-rounded arts school? ROBERT BROWN: Sure it is. But soon you were able to work out a curriculum here and . . . ? ROBERT BROWN: Which is not an applied thing? HARRY M. CALLAHAN: No, but we have . . . there’s one fellow that I brought here — he’s now the head — he worked in Canada for many years on a magazine there and he did all kinds of work — illustration, architecture, all journalistic, everything. It was a real magazine like, maybe like Time. Not quite. It wasn’t that, but it was a newspaper magazine. You know, like we used to have This Week or something like that. HARRY M. CALLAHAN: And so I wanted him to come here to do that, but do that in a good way — you know, rather than teaching trade school type things. So he does a lot of that. And so I say we’re using the term “applied” a little bit, you know, just that they get the experience. ROBERT BROWN: Um hmm. Well, how regularly do you exhibit? ROBERT BROWN: How regularly do you exhibit? Do you always have things on the road someplace? HARRY M. CALLAHAN: Oh, well, now, see, Aaron and I are at Light Gallery . . .
HARRY M. CALLAHAN: . . . and we’re supposed to have an exhibit every year, I think. ROBERT BROWN: And that’s an exclusive, really? HARRY M. CALLAHAN: Yeah. I think it’s . . . yeah, I’ve been in it every year, I know. ROBERT BROWN: Some years you were in the Hallmark Gallery. ROBERT BROWN: Was that a good relationship? HARRY M. CALLAHAN: Oh, yeah. That was Dave Strout, too. That was a real good match. That was a big exhibit and it traveled. And the George Eastman House has an exhibit that travels — a couple of them, I guess. ROBERT BROWN: Do you ever go to the openings or anything connected with these? HARRY M. CALLAHAN: Yeah, but I don’t really like to very much. And the last exhibit I had at the Light Gallery, I asked him if I could skip that reception business. He said, “Sure, I’m glad to.” He didn’t want it either. ROBERT BROWN: Have you participated very much in symposia or seminars? HARRY M. CALLAHAN: No. No. No. I don’t think I’ve done it in, well, maybe only one in Chicago. I’m no good in that at all. I seem to block out. ROBERT BROWN: Yeah. But you even in the beginning were reacting, like you mentioned Siegel, who was so articulate . . .
ROBERT BROWN: . . . I would expect that. The publication of those books, Other Photography, and all of that, then, you helped with that, or you’ve been involved in that? HARRY M. CALLAHAN: Oh, yes. The Black Book is the big one. I collected all the pictures and they put it together. Then the Museum of Modern Art book, John Szarkowski . . . we just sort of worked together on that. I wanted to put in many things that weren’t in the other book, if I could . . . you know, where, if there were two pictures very similar and I wanted to get the other one in. ROBERT BROWN: Sure. Well, this is related to what you said earlier that you liked to encompass your life so that people would be able to see this whole process. Have you seen yourself, as you say . . . a little earlier you said you don’t know that what the last print you do is any better than the one you did twenty years ago, but have you seen any kind of development? HARRY M. CALLAHAN: Well, I think that I’ve broadened. I mean I’m very interested in nature and in doing buildings and people. I had a sabbatical in ’61 — no, ’68, and my daughter wanted to go to . . . she didn’t want to go to school again, so she wanted to go to Rome to school. And the art school, the Rhode Island School of Design has a Rome program so . . . .
ROBERT BROWN: An academy or something? HARRY M. CALLAHAN: Well, it’s just . . . no, they just have a . . . they have a building there. This meant that we could get an apartment and that’s why we chose to go there. So our daughter went to . . . she went there first and the last half of the year then we went there. And I didn’t do very good photographs when we were there. Went out and photographed every day. I got some things that were pretty good, but I think that made another kind of an influence on me. And we came back and we went to Mexico the next year, and I think for the first time I really got something, finally did something in Mexico, and then I went to Mexico again and I got more and it just seemed to spark something and when I . . . . Last summer we went to Peru and I stayed in the little town of Cuzco. And I photographed two weeks, getting up every day and going out and every afternoon. And I had an exhibit on about eighty, I think about eighty photographs, in the Light Gallery, just from that. So I think that’s something that could never have happened to me before. I’m just trying to explain that something has happened, you know. You were talking about the last picture and the first and all that. This is something I think that I never could have done before, and I just sort of think it started in Rome — visually somehow, things that I saw. ROBERT BROWN: Even though you didn’t do the photographs in Rome, you were . . . ? HARRY M. CALLAHAN: I didn’t do it. Yeah. No, I didn’t do much but I . . . I wasn’t successful. ROBERT BROWN: Wonder what it is. These are all old cultures. Maybe it has something to do with that? HARRY M. CALLAHAN: Yeah. Oh, I think it’s something visual about it. You know, the old buildings and things. Something about it. And I just think it happened to come out in Cuzco, that’s all. Best of all. ROBERT BROWN: Why do you suppose you went to Cuzco? Do you know? HARRY M. CALLAHAN: Oh . . . .
HARRY M. CALLAHAN: No. No. Just our neighbors here had been there, and I mean I didn’t even know anything about Peru, never even thought of Peru. But they’d been there and they told about this and the town and Machu Picchu. But then we had another friend whose government — maybe native South American, I don’t know — sent them on a trip around South America, three weeks or something, and they stopped in Cuzco, and he started talking about how wonderful the stones were and all this kind of stuff. ROBERT BROWN: So a whole series of bits of information sort of added up? HARRY M. CALLAHAN: Yeah. Yeah. And I thought I would never bother, but . . . and it turned out to be a really great thing. ROBERT BROWN: You say you’ve broadened, but is a good deal of the thrust of your photography currently of things that are older? ROBERT BROWN: Or do you still do a detailed study of grasses? HARRY M. CALLAHAN: Yeah, I still photograph stuff. ROBERT BROWN: You could move easily through your whole repertory? HARRY M. CALLAHAN: Well, certain things that I did I will never do again, I guess. I go out and it doesn’t look like anything to me. But I haven’t cared about photographing the snow anymore, and I used to love it, you know. I don’t know why. ROBERT BROWN: You still do people, don’t you? Street people? HARRY M. CALLAHAN: Oh, yeah, a lot of that. ROBERT BROWN: Is your immediate environment here in Providence . . .
HARRY M. CALLAHAN: I like it here. ROBERT BROWN: . . . conducive? ROBERT BROWN: It has triggered off . . . ? HARRY M. CALLAHAN: Yeah, right, it’s been good. And I like . . . and also I can go up to Boston, I can go to New York, and then Provincetown — I like going there. RB; How do you see you’ll be doing in the future? Will you be able to move toward a freer and freer regime as you surely someday give up teaching? HARRY M. CALLAHAN: Sure. Oh, oh. Oh, yeah, I really want to get out of that. [laughter] Well, I like all the students and stuff like that, but it’s a very . . . I feel inadequate and I . . . I don’t feel good. ROBERT BROWN: What do you think it is that you feel inadequate about? HARRY M. CALLAHAN: I can’t talk in those terms. I can’t just come out in big pronouncements and things, you know, that way. I can talk about myself to a certain extent and I don’t feel bad. But I don’t feel that I’m doing it all that super. But I do feel like I can say something about myself. ROBERT BROWN: Do you think maybe the pronouncements, if they were big pronouncements, they’d be taken too literally? You seem to have . . . you’ve developed through your experience. HARRY M. CALLAHAN: Yeah. No, I could never do that. ROBERT BROWN: Do you suspect that may be . . . ? HARRY M. CALLAHAN: Yeah, And that’s why I don’t do it. ROBERT BROWN: You would loathe yourself for doing it? ROBERT BROWN: Even if you could write them down? HARRY M. CALLAHAN: Yeah. It’s just . . . it’s not my way, that’s all. ROBERT BROWN: And yet obviously you see your students thriving under yourself? HARRY M. CALLAHAN: Yes, I’ve had good luck that way. ROBERT BROWN: But also isn’t there a desire to be as you were that year in France for fifteen months . . . ? HARRY M. CALLAHAN: Oh, that’s the best. [laughs] Well, I’m on sabbatical now. ROBERT BROWN: Kind of freewheeling? ROBERT BROWN: How do you think you want to be remembered as a photographer? You do want to be remembered, don’t you? ROBERT BROWN: You talk about the body of your work. HARRY M. CALLAHAN: Yeah, um hmm. Well, I don’t know. I never thought of it that specifically. ROBERT BROWN: Others have tried to summarize, not that they would be very accurate at all. You know, if you weren’t a photographer . . .
HARRY M. CALLAHAN: Oh, I don’t know. Now that I’ve, that I feel good in this, I suppose there’s other things that I could have liked. I could have maybe . . . I don’t suppose I could have been, but I would have liked writing, I think. Or I would have liked architecture, I know that. I might not have liked them once I got into it, you know. But I mean I liked architecture. I know I wouldn’t want to paint. ROBERT BROWN: Well, in photography, people look at a group of fine photography, how do you think you’ll . . . where do you think you are? Do you think you’re in a niche? Or do you think you’re representative of something? Or unique in certain strong ways? You don’t bother with this kind of evaluation? HARRY M. CALLAHAN: Well, I can’t . . . I find it really hard, you know. I think the things that I used to do . . . I photograph a lot of different subject matter, which a lot of photographers don’t. But, then, I don’t . . . other photographers go about the same subject matter in different ways. You know, I mean I don’t know how you really evaluate it. I like the idea personally of photographing different subject matter. That’s part of the fun to me, too — looking for things that I haven’t done before — in terms of subject matter. RB; Well, you chiefly didn’t run, your momentum . . . your engine has just been adaptability? HARRY M. CALLAHAN: Yeah, right, yeah, that’s right. Posted in Interviews and tagged Harry Callahan, Interview, Interview H, Street Photography.